The Canadian Journal of Community Mental Health has released a special supplement issue focused on the Systems Enhancement Evaluation Initiative (SEEI). SEEI evaluated the impact of a $167 million investment made by Ontario’s Ministry of Health and Long-Term Care (MOHLTC) towards community mental health services in the province. Mental Health Notes continues to explore the articles from the special issue, today looking at studies involving the fidelity of Assertive Community Treatment (ACT) teams in Ontario, and service access and match in southeastern Ontario. Both studies identified vocational services as an area requiring attention. The first study assessed 67 ACT teams in Ontario in terms of fidelity (i.e. the degree to which they adhere to current ACT implementation standards). The study had three goals: create a provincial snapshot of fidelity; develop individual team profiles so they could compare their performance with the provincial average; and highlight areas that might need to be addressed to monitor performance and guide implementation of the program. The results showed that Ontario is achieving high fidelity ratings overall. The fidelity range for the human resources and organizational boundaries domains were high, and medium for the nature of services domain. The areas requiring more attention include achievement of higher caseloads, and key areas of recovery, specifically employment and substance abuse. 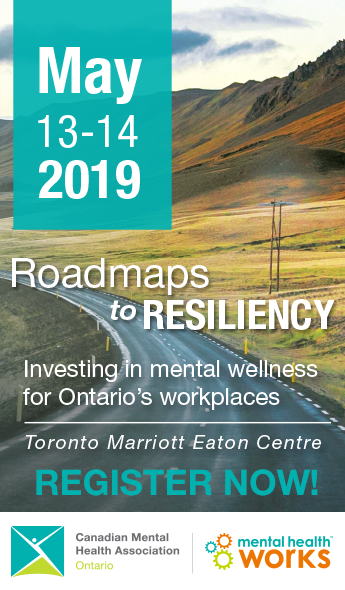 Recruitment and retention of staff, specifically vocational, substance abuse and psychiatry staff, also need more attention, as it was shown that one-third of Ontario teams do not have a full-time vocational specialist, and many teams have either part-time or no peer workers. The authors also discuss limitations of the study and suggestions for future research, including closer examination of the barriers to successful implementation of ACT that arise across fidelity domains and different service contexts. In the second study, the authors evaluated service access and match in southeastern Ontario to determine if there had been improvements since the new funding investments. In the study, “access to care” refers to the number of unique clients served in the community and addresses the ability of the system to meet previously unmet need (i.e. doing more of the same), whereas “service match” reflects the ability of the system to deliver appropriate care to existing clients (i.e. doing things better). The authors used repeated samples drawn before and after the community mental health funding increase, as well as the level-of-care model, to evaluate whether system improvements had reduced unmet need and improved care. The results showed that access to care increased by an estimated 12 percent between 2001 and 2006, but only one-third of clients were appropriately matched to their needed level of care. Service match increased slightly after the funding increases, but changes were not statistically significant. Almost half of the clients remained underserviced, particularly for clients who should have received Intensive Community Care (Level 3 Care), and 20 percent were over-serviced, particularly individuals who were considered able to self-manage their care. The most frequent areas of unmet need identified by caseworkers were social and vocational services. The results suggest that a more targeted and systematic approach to care planning is necessary to shift system-wide resources to client groups who are in the greatest need. The next issue of Mental Health Notes will profile a set of articles in the SEEI special issue that examine community-based discharge planning in acute mental health care, and community-based integrated crisis-case management services. See “ACT Fidelity in Ontario: Measuring Adherence to the Model,”Canadian Journal of Community Mental Health (2010; 29 [Supplement 5]: 87-96), available at www.metapress.com, and “Funding Growth and Service Match: Doing More of the Same, or Doing Things Better?”Canadian Journal of Community Mental Health (2010; 29 [Supplement 5]: 97-109), available at www.metapress.com. Full contents of the SEEI Special Supplement Issue of the Canadian Journal of Community Mental Health are available at www.metapress.com. For more information about SEEI, contact Heather Bullock at heather_bullock@camh.net.